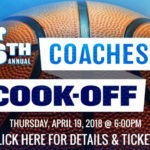 Attend one of Richmond’s most delicious events on April 27th at 6:00PM to watch UR’s Chris Mooney battle it out with VCU’s Mike Rhoades on the kitchen stage during the 5th Annual Coaches Cook-Off in The Dewey Gottwald Center at the Science Museum of Virginia. Enjoy an awesome array of heavy hors d’oeuvres, culinary treats, and cold beverages, while the action unfolds on stage. 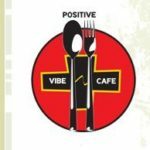 Tickets available right here on EventBrite and at the Positive Vibe Cafe. Spider’s Coach, Chris Mooney, will team up with Caleb Shriver and Philip Perrow from Dutch & Co. In the other corner, VCU’s Mike Rhoades, will be cooking with chef Lee Gregory from the restaurants Southbound and The Roosevelt. 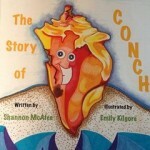 All proceeds benefit the Positive Vibe Foundation, a nonprofit organization training and employing adults with disabilities. Sponsorship opportunities are still available. 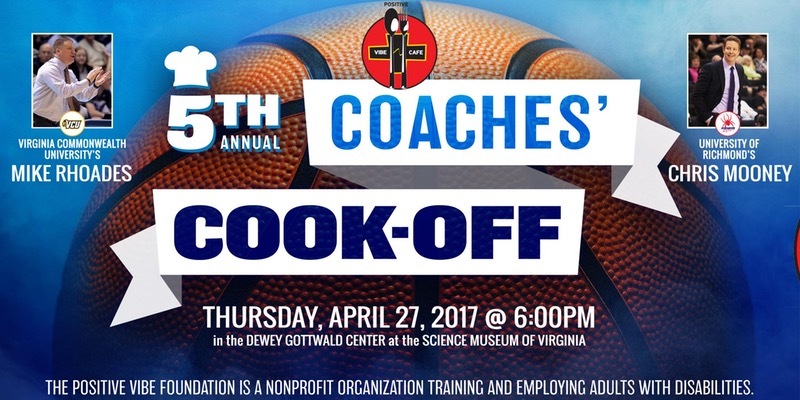 For information, contact Garth Larcen at 804-787-0783 and download the 2017 Coaches Cook-Off Brochure.